29th Nov Maxcdn Is giving a huge discount of 50% on all its CDN plans.Speed up your site at just 45$ per year. MaxCDN Black Friday DEAL – Speed up your blog at Half the Cost ! 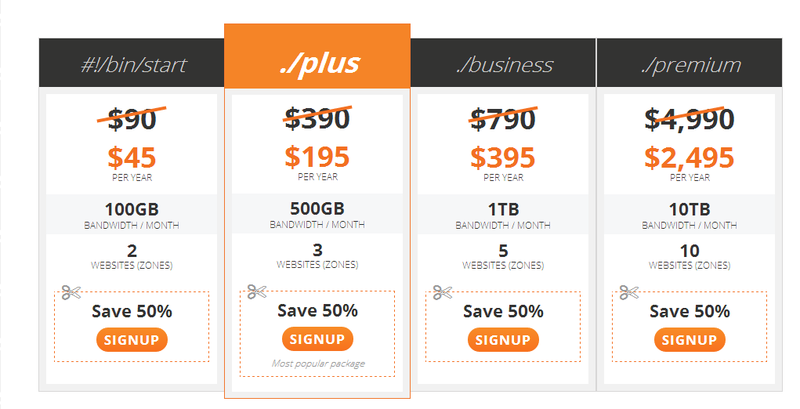 Maxcdn black friday deal offers 50% off on all its CDN plans along with the 2 months free offer .This deal will last for 4 days starting from Friday ( 29.11.2013 ) to Monday ( 2.12.2013 ).Here are the pricing after the 50% discount is applied. Ready to speed up your site! Dont Miss this Black Friday Deal ! Hope you will make your site faster with Maxcdn.I am sure you will love it. Let me know if you face any problems in setting up the cdn on your site.I will be glad to help you out.